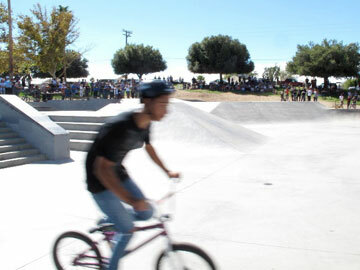 The Barstow skate park was a hub of activity Saturday afternoon as the Skate Park Art event drew skaters, bikers, dancers, and more to celebrate the dedication of 120 feet of brightly painted murals. 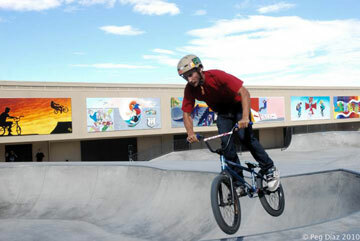 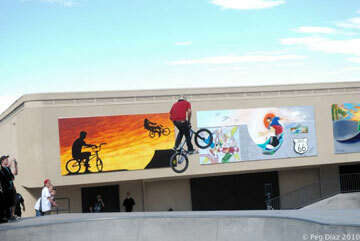 The murals were drafted by winners of a design contest held last year, painted inside the out-of-service Al Vigil Swim Center, and then affixed to the south wall of the swim center facing the skatepark. 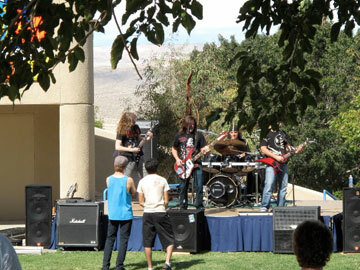 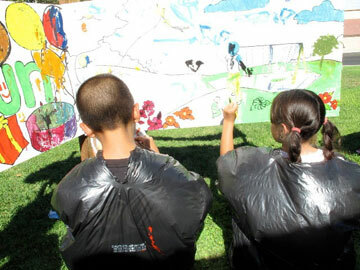 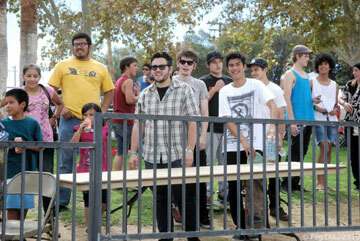 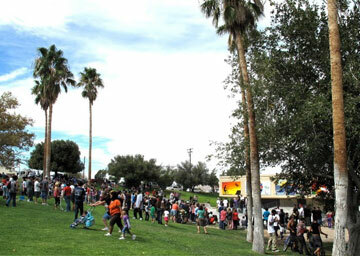 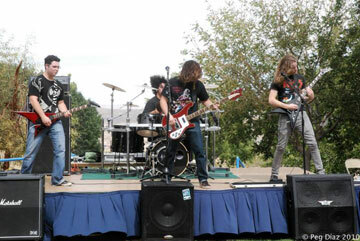 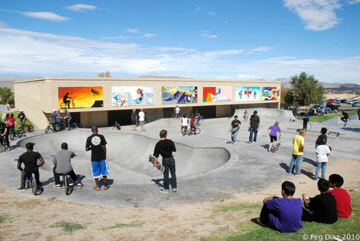 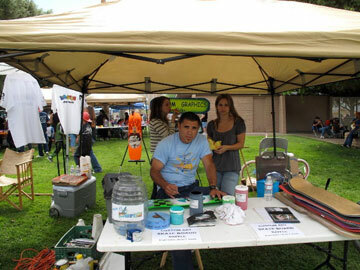 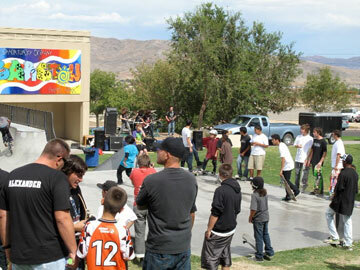 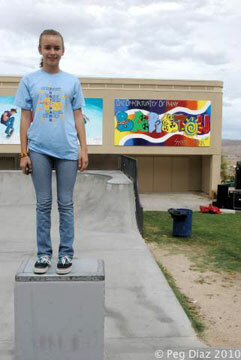 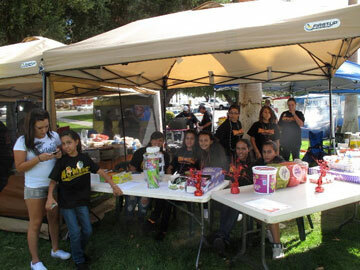 Main Street Murals, a non-profit group, worked in conjunction with the City of Barstow on the Skate Park Art Event. 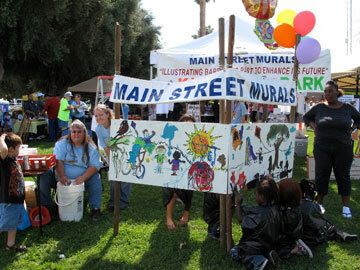 Main Street Murals president Jane Laraman-Brockhurst said that she is glad to see the mural contest come full-circle, and hopes to make the skateboard and BMX biking competition a yearly event. 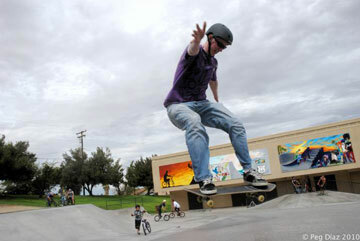 "This will change the landscape vibrantly," said Laraman-Brockhurst. 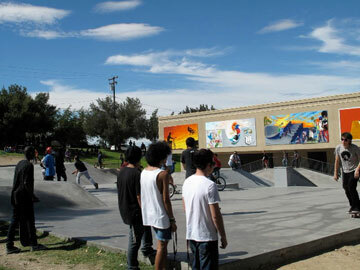 "The youth and skate-inspired artwork looks great. 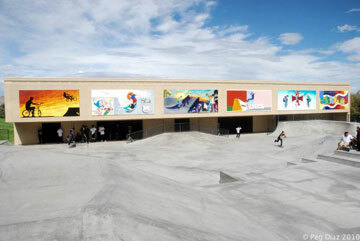 Someone who comes in off of I-15 will see this and say it looks different and lively." 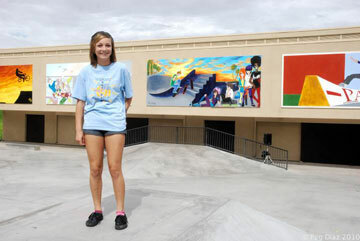 Taylor Thompson, 15, of Barstow, is the co-designer one of the murals. 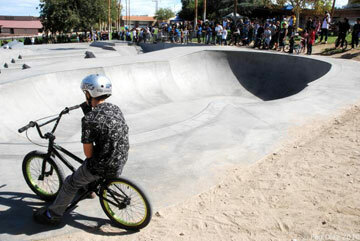 "It’s a dream come true,"said Thompson. 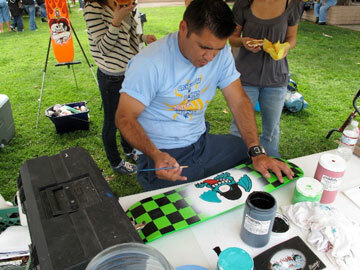 "It’s great to know that everyone will see your artwork. 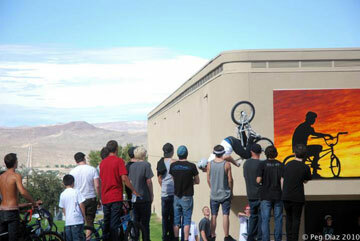 It’s pretty cool seeing it." 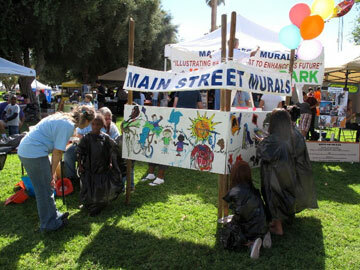 Local dignitaries gathered for the ribbon-cutting as Ken Courtney played a lively saxophone rendition of the national anthem in front of the murals. 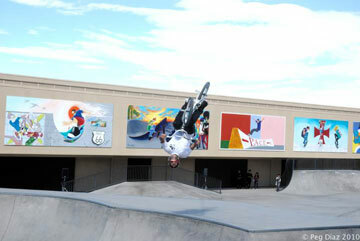 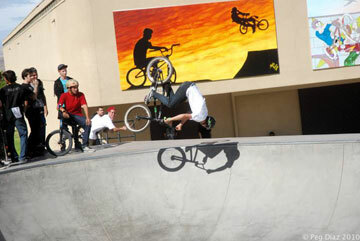 Mayor Pro-Tem Julie Hackbarth-McIntyre said the artwork is a welcome addition to the skatepark. 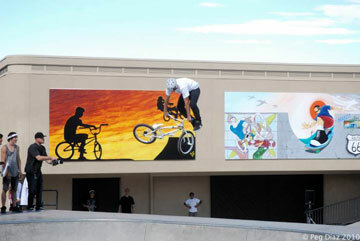 "What a beautiful mural," said Hackbarth-McIntyre. 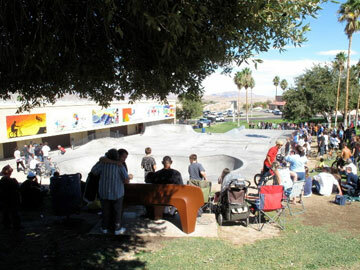 "People say, ‘What do we have in Barstow?’ Come look at this, come look at the children." 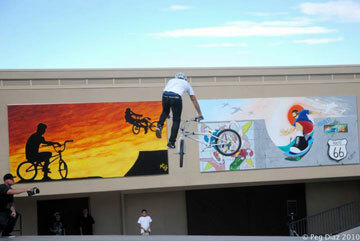 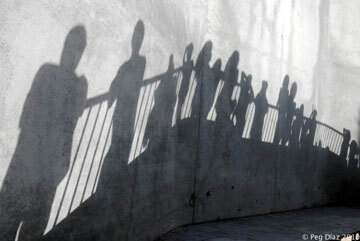 A crowd of more than 400 people witnessed and took part of the mural dedication activities Saturday. 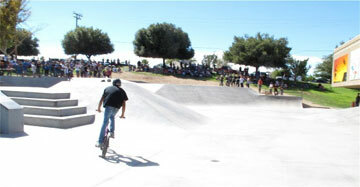 After the ribbon-cutting, the festivities got under way. 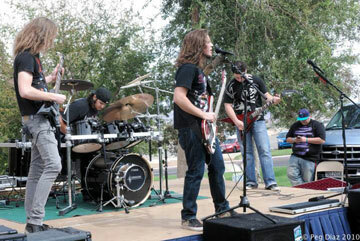 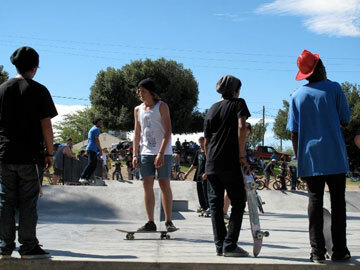 Hip-hop dance troupes strutted their footwork, local rock group AMAREX played heavy metal, and skaters took to the concrete dips and curves of the skatepark to show off their talents. 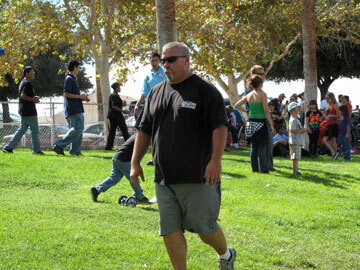 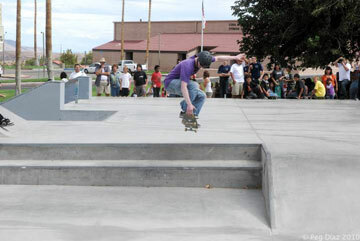 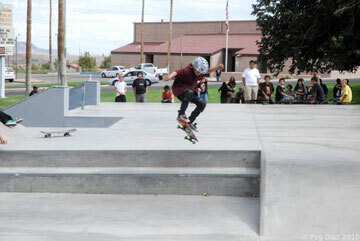 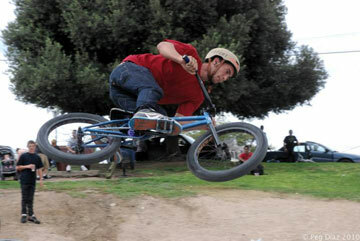 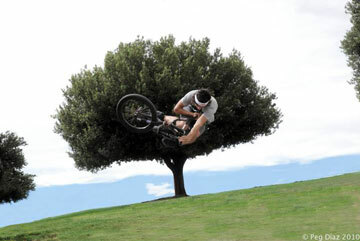 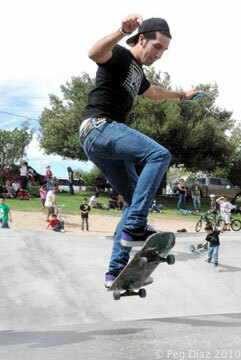 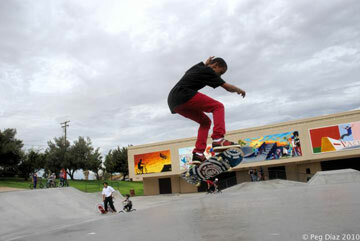 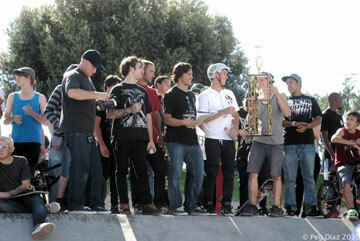 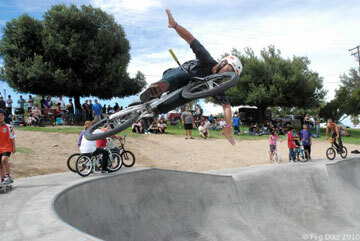 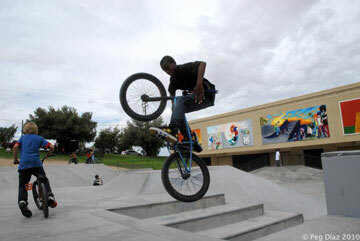 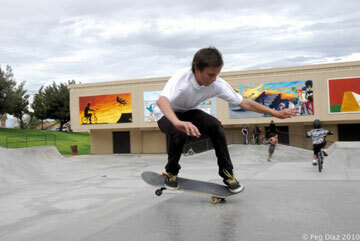 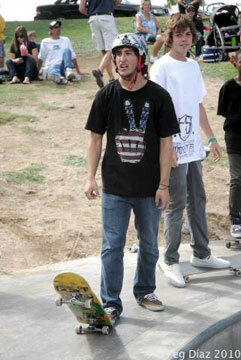 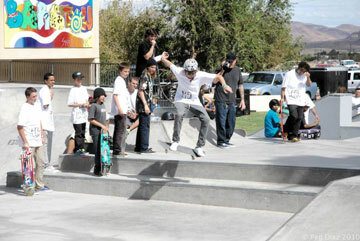 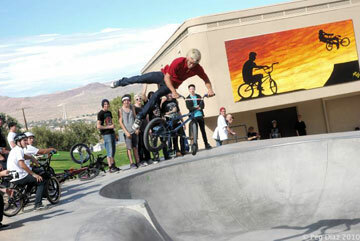 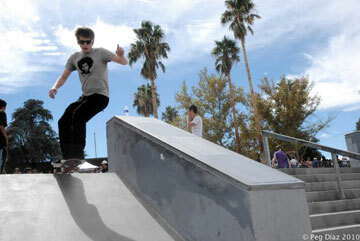 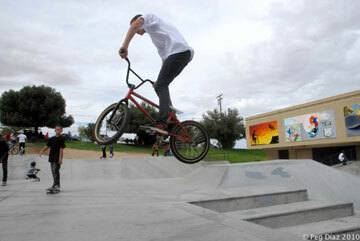 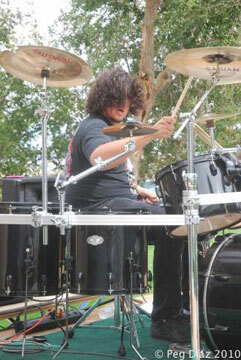 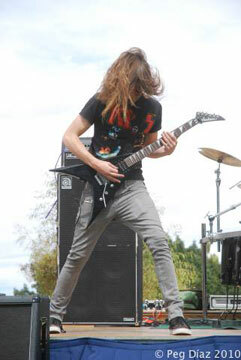 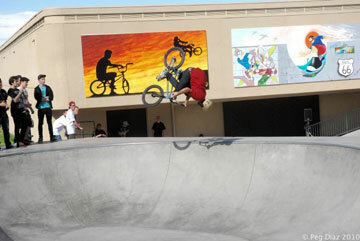 John Harrell, of Barstow, was one of the skateboarders taking place in Saturday’s competition. 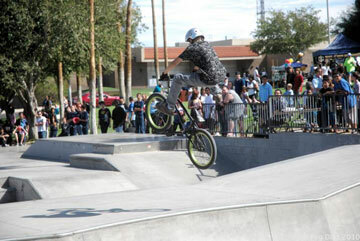 Harrell said he was glad to see so many people at the park. 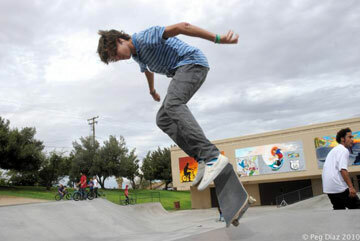 "It was really exciting,"said Harrell. 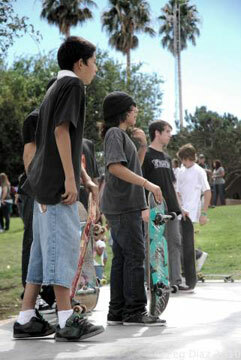 "It’s a little weird (skating) in front of a crowd, I got a little nervous. 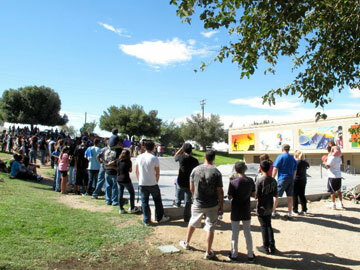 It’s good that (the competition) brought a lot of people out here. 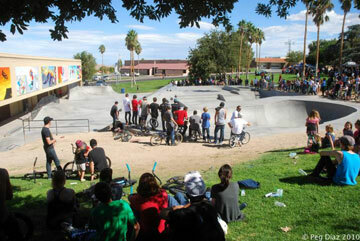 Some people say it’s not a good place. 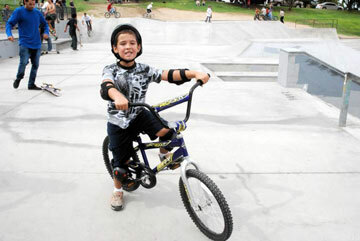 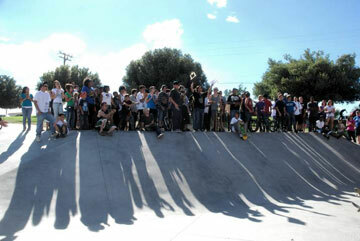 It’s great to have a party at the skatepark."